Thanks! How does DeltaStop indicator look like when it's a buy signal? If buy confirmation - the line on the main chart is below the price (just for us ... to be ready to place stop loss/trailing stop according to this line). DeltaStop is trailing stop indicator. 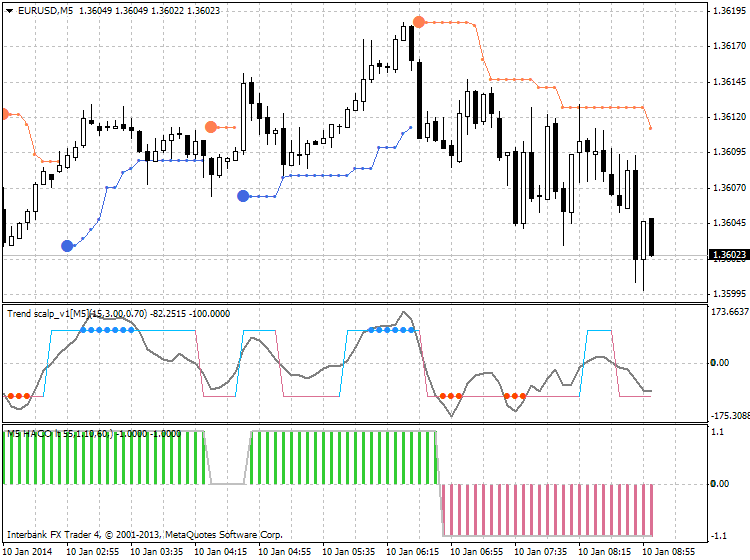 This is RoundPriceNE_big_mod indicator which I used for scalping - see this post. 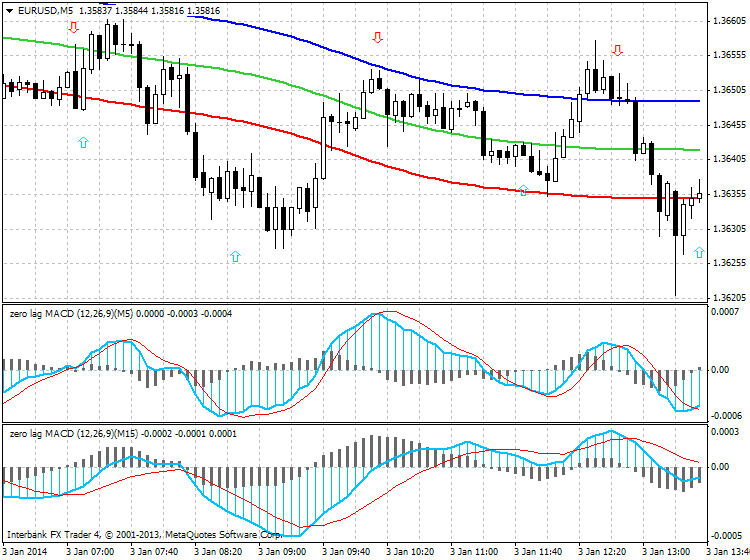 This indicator was part of Asctrend M1 scalping system. 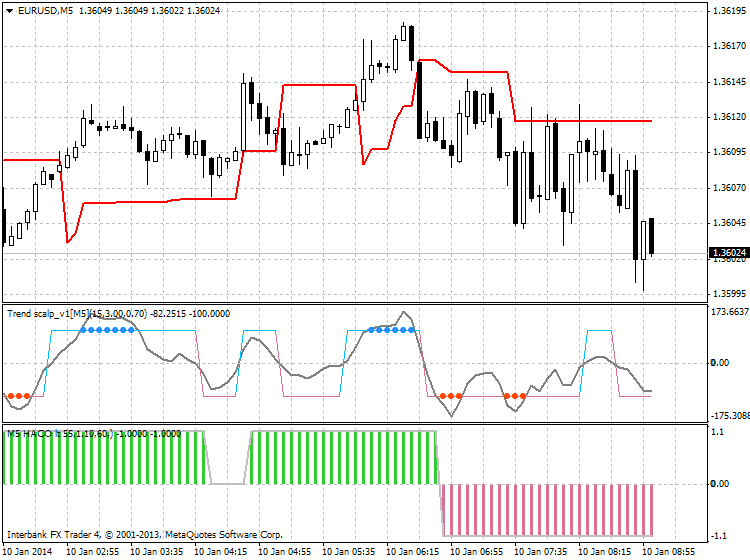 The other indicator is Zerolag MACD - alerts & arrows (download from this post). This indicaor may be used together with RoundPriceNE_big_mod indicator. 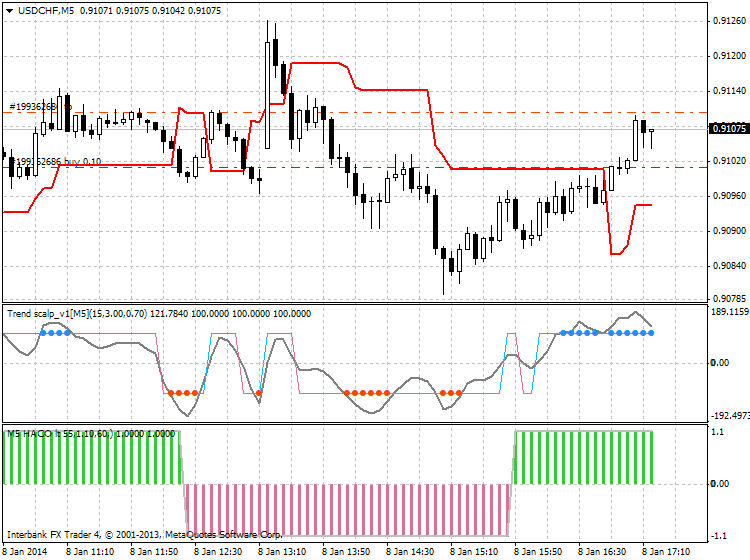 I think - we can use PriceChannel_Stop_v9 indicator instead of DeltaStop indicator in Trend Scalp Hacolt trading system. Dr.Fox and mr.green like this. I was trying to trade this Trend Scalp Hacolt trading system (I used PriceChannel_Stop_v9 indicator instead of DeltaStop indicator) but it is difficult to trade this scalping system manually ... we need EA. 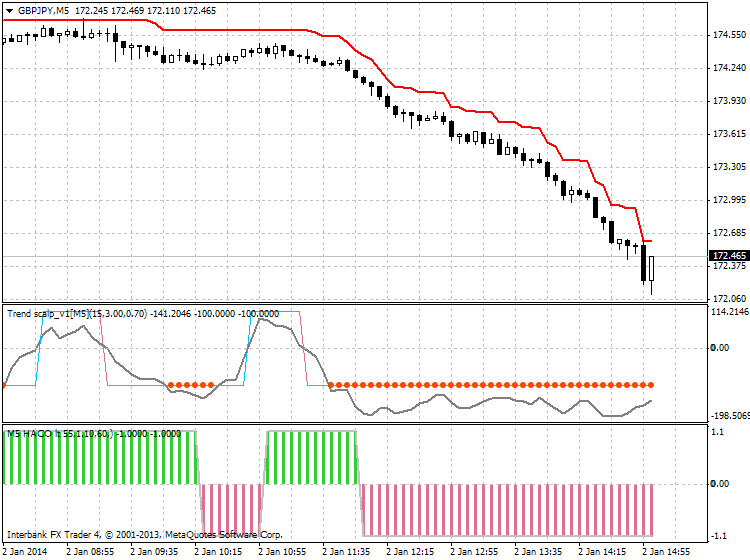 I was using sl 50 pips and tp 5 or 10 or 12 pips (in case we are openning the trade on the first dot only ignoring the next dots from this series).